The 2018 BMW i8 Roadster is a hybrid sports car. As one of the leaders in hybrid technology, the car will be the game changer. The two-seater roadster blends efficiency, dynamic capability and comes with unprecedented aesthetic value. This has been achieved thanks to brilliant German engineering. The car will combine a gasoline engine and electric motor to produce more than 362 horsepower. According to BMW CEO; Harald Krueger, the new lithium ion battery will give a better range. The 2018 BMW i8 Roadster is expected to boost the status of the automaker opening a new chapter in the history of motoring. Its biggest competitors will be Audi R8, Aston Martin V8 Vantage and Porsche 911 GT3 ND. The body will be made of carbon fibre reinforced plastic and aluminium. 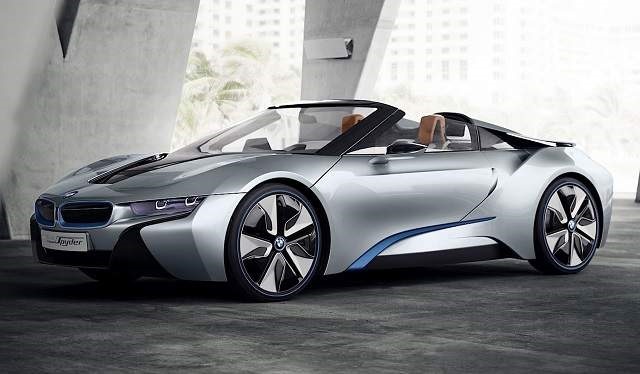 The i8 roadster will weigh less than 3,300 pounds with 50/50 weight distribution. The front fascia and hood will be aerodynamic to generate more downforce. However, the LED headlights and taillights are expected to be the same as the outgoing model. On the other hand, we expect an automatic roof which will give unlimited headroom. To wrap up the look, it’s expected to come with sculpted bumpers. The interior will feature six-way power front seats and leather upholstery. The car will come with standard equipment like front and rear parking sensors, adaptive cruise control and navigation system. In terms of occupants’ safety, the 2018 i8 Roadster will feature dual front and side airbags. Once the passenger restraint system is triggered, all electronic components will disconnect. It will also feature driver assistance package which include; collision warning and a 360-degree camera system. The 2018 BMW i8 Roadster will come with hybrid drive-train. It will be powered by a 1.5-liter twin turbo engine that produces a maximum output of 228 hp and 235 pound-feet of torque. The electric motor will produce 129 hp and 184 lb-feet of torque. The electric motor and 1.5-liter engine will work together to give a combined output of 362 hp and 420 pound-feet of torque. The acceleration will be fast. From 0-60 mph, it will take around 4.4 seconds. Further, the electric motor is capable of working alone with a maximum speed of 75 mph for about 22 miles without recharging the battery at the mains. It will take 2.5 hours to re-charge the battery. Alternatively, one can engage the sports mode to charge the batteries. However, when the gasoline engine and electric motor are working together, the car will hit a top speed of 155 mph. 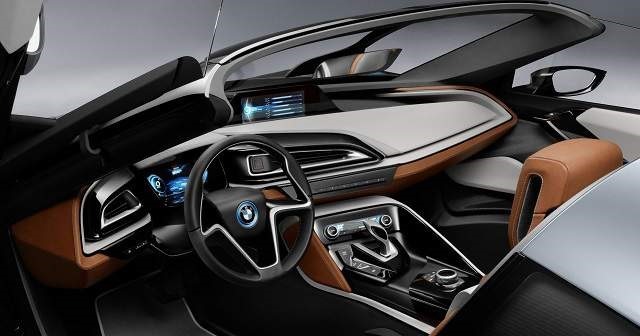 Just like the i8 sibling, it will come with different driving modes; comfort, Eco pro, sport and eDrive driving mode. 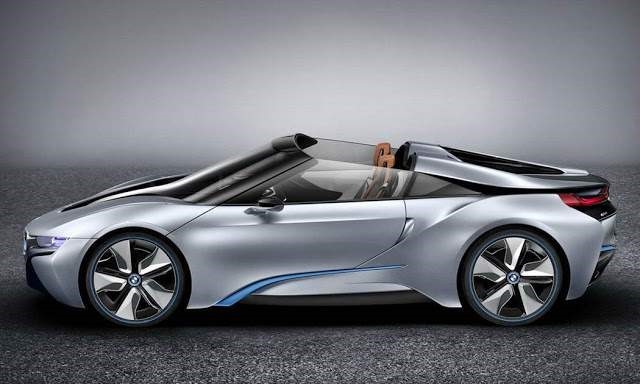 The BMW i8 Roadster 2018 will be equipped with an energy recuperation system to reduce CO2 emissions. It will be comfortable on a motorway. In town, it will be Eco-friendly as health food shop. So far, BMW has not released the actual price for the car. However, the hybrid sports car is approximated to retail at around $ 140,000.The car is expected to be available in the dealerships towards the last quarter of 2017. It’s in the final stages of development.